Each spring, we offer Coming of Age classes to eighth graders as they prepare for high school. 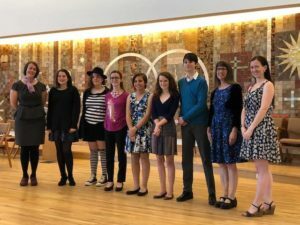 In Coming of Age, students have the opportunity to consider their religious beliefs and to learn more about Unitarian Universalism as they become more interconnected with the adult program. Coming of Age culminates in a student-prepared service given to the entire Congregation. To register, complete this printable form and return it to the Religious Education (RE) office. We all face the challenge of creating an environment that supports and nurtures sexual health in our young people and in ourselves. 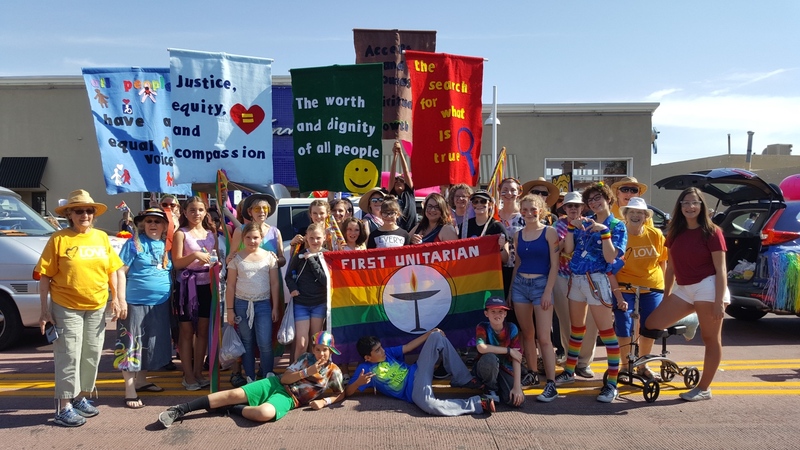 At First Unitarian, we offer young people Our Whole Lives, a sexuality education program that models and teaches caring, compassion, respect, and justice. 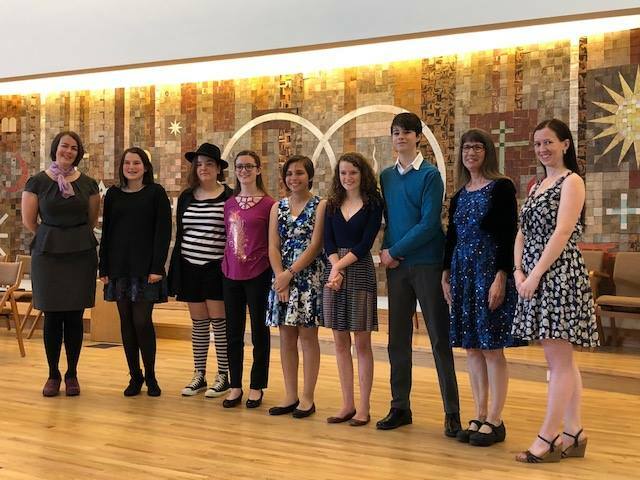 This holistic course, based on the values of our Unitarian Universalist faith, moves beyond the intellect to address the attitudes, values, and feelings that youth have about themselves and the world. Unlike many other sexuality curricula, Our Whole Lives is comprehensive and progressive. In an inclusive and developmentally appropriate way, it addresses a full range of sensitive topics typically excluded from most secular sexuality courses. This outstanding, award-winning human sexuality education program, known by its acronym OWL, is offered for our Church’s young people in four courses: kindergarten and 1st grade (parents and children), 4th-5th graders, 7th – 8th graders, and 9th – 12th grades. It is a nationally recognized program developed by the UUA, the United Churches of Christ, and secular educators. The program’s goals are developmentally appropriate for each age level. Facilitators are trusted, denominationally trained, sensitive adults. For more information about OWL, please call or e-mail the Director of Religious Education or visit the UUA web site. To register, complete this printable form and return it to the RE office. Special events include the holiday pageant, parties, intergenerational dances, and regional conferences, along with leadership, social justice, and outreach opportunities. Our UU Summer Camp is held each July in the beautiful Sacramento Mountains near Cloudcroft, at the Sacramento Methodist Assembly Campgrounds. First Unitarian is active in our community in a wide variety of ways. Our ministry with children and youth is connected through liaisons to the church’s Social Justice programs. These programs enable our young people and their families to help with a variety of projects, including Adopt-a-Highway cleanup days, workdays on our adopted 10-acre spot in the Rio Grande bosque, Project SHARE, and Roadrunner Food Bank. 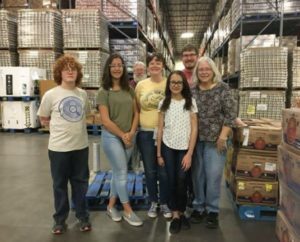 RE Youth volunteering at the Roadrunner Food Bank. First Unitarian participating in the Albuquerque Pride Parade.